When it comes to buying patio furniture, it’s important to consider all the factors, including, how your furry friend might interact with it. If you have a cat that likes to scratch surfaces or a dog that likes to chew things then there are a few things to consider when buying patio furniture: covers, materials and fabrics. It's important that you protect your investment with a fitted set of patio covers. 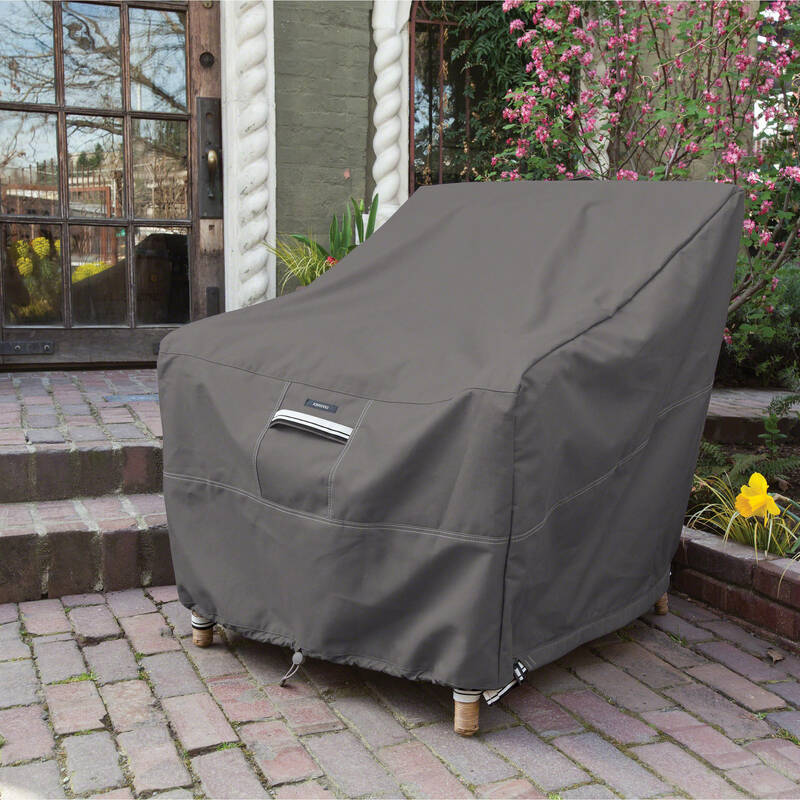 The best patio furniture covers have expert stitching and clean angles covers that have been perfectly tailored to keep your patio pieces snug and dry in all kinds of weather and animals. When not in use we recommend you use the covers to protect the furniture from cat scratches or dog hair, etc. This way your furniture will last you a long time even with animals in the backyard. If still not sure that patio covers are worth it, heres an article that explains it! Aluminum and Wrought iron. Furniture made from these materials is almost indestructible and not attractive for your pets to chew or scratch. Aluminum patio furniture is durable, aesthetically pleasing and affordable, and you can read more about it here before deciding on your purchase. Wrought iron is very sturdy as well, and it wont be fun to scratch or chew for your pets since its basically tough metal. Another alternative material is Ipe Wood, most dogs don't like the oils that naturally occur in Ipe wood, therefore, they wont chew on it at all. 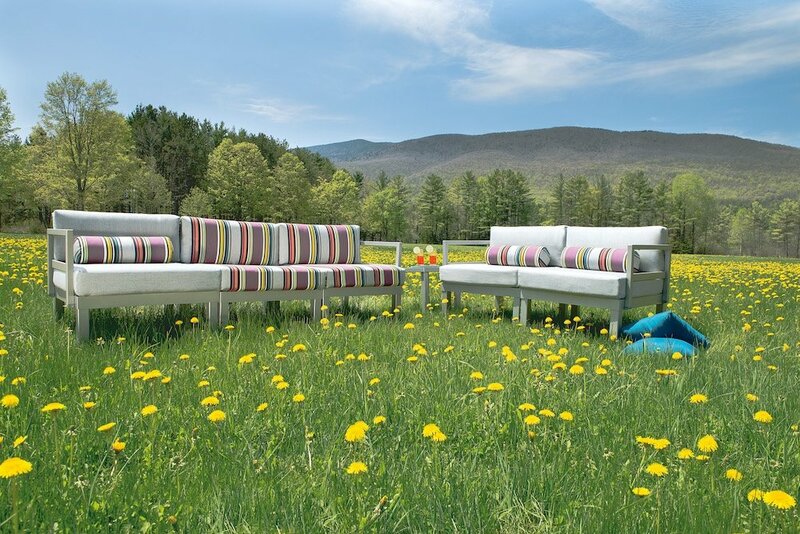 The best patio furniture fabric comes from the Sunbrella brand. These fabrics are beautiful, long-lasting and easily cleaned with warm water and bleach. We love Sunbrella fabrics not only because they are made to withstand a little tough love from pets but also to feel like natural fiber fabrics, which are comfortable and wont stick to your skin. Sunbrella has a wide variety of colors to choose from. When considering pet-friendly choose darker colors or patterned fabrics that will help hide any stains or pet hair, this way your furniture keeps looking great! 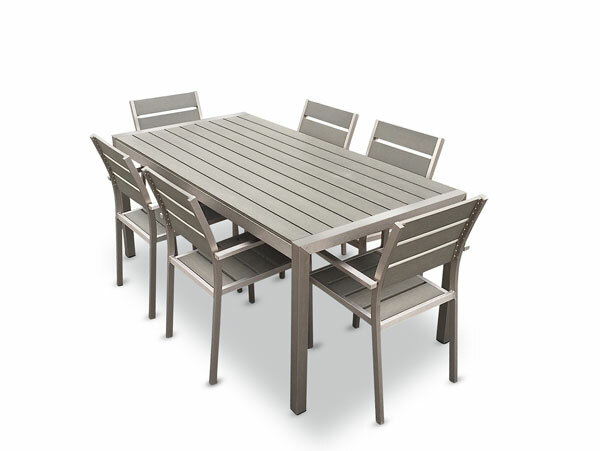 Lastly, if you already chose a patio set and its made out of wood with light fabric cushions (oh no!) then your best bet is to buy furniture covers, get that anti-scratch spray from your local CVS, and train your dog not to chew on the wood (perhaps theres also an anti-chew spray worth looking into). Its safe to know that most patio furniture already comes ready to withstand all the elements, so unlike inside patio furniture it'll be more durable in close encounters with your dog or cat.